Tanks and vessels containing process liquids benefit from having two independent indications of liquid level. A local indicator with high visibility provides on-site personnel the information needed to confirm a tank fill level or coordinate other tasks. 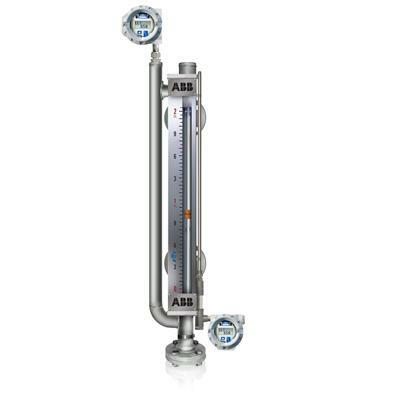 An electronic signal provides continuous liquid level information to process control operations and monitoring equipment. K-Tek, a subsidiary of ABB, combines a guided wave radar transmitter and a magnetic level indicator into a single compact instrument, fulfilling the total requirement with one instrument, one set of tank connections. The instrument can be configured in a number of ways, with accessories that can be added to suit any application. Details are provided by the data sheet included below. Share your level measurement and control challenges with application experts, combining your process knowledge with their product application expertise to develop effective solutions at your facility.